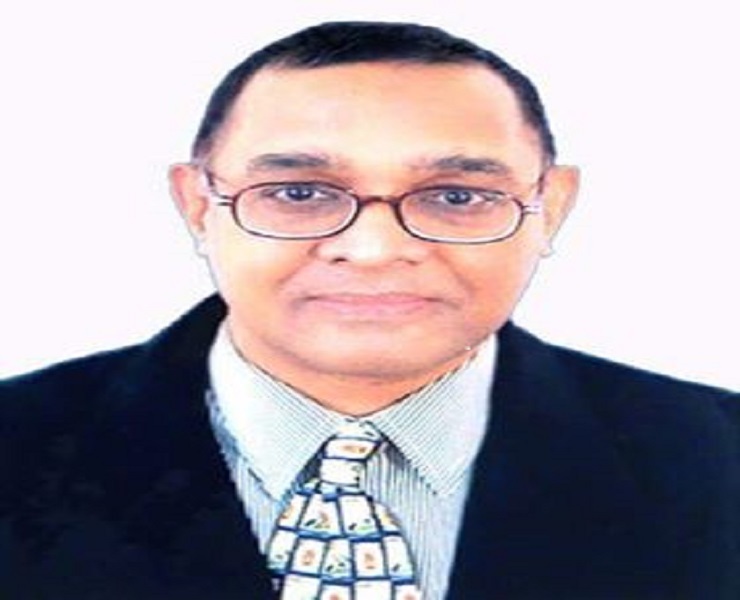 Saad Mohammed Hossain Siddiqui, Former Principal Specialist, Institute of Water Modelling. DOB: August 4, 1958. HSC from Dhaka College in 1978 and graduated from BUET in Civil Engineering in 1985. I fell the victim of kidney failure in August 2015. I was then working as Principal Specialist at Institute of Water Modelling (IWM) in Dhaka. My wife & only daughter was residing in the USA where my daughter has been a student at Rutgers University. I was supporting them from my earnings in Dhaka. I had earlier became a Canadian in 2004 upon availing leave from IWM but then remained in Dhaka to look after my parents (now both my parents have passed away). In summer of 2015, my family was in Dhaka during my daughter’s holidays. I was at the time having runaway high blood pressure (BP). Doctors were then only concentrating on my high BP & heart and forgot to notice my kidneys. I had a bad episode of bleeding in an eye due to the high BP. When the kidney deterioration was finally identified both my kidneys were damaged. Creatinine levels went up as high as 950 by then. My wife couldn't confide in doctors in Dhaka in her absence. They were to leave Dhaka in the 3rd week of August & she wanted me to leave Dhaka. Since I had Canadian status she urged me to return for a thorough doctor's review in Canada. So I came to Canada where I had the health card. However when I checked in hospital in Canada, doctors declared me "end stage renal failure" patient. As a result from the last week of August 2015, they initiated Haemodialysis. I had a very bad period at the time since my daughter was still at university. We had to crawl through the next 2 years in absence of my earnings. Doctors here in Canada declared me an ATN (acute tubero necrosis) patient without recovery. They carried out numerous tests for suitability of kidney transplant. Since I was then just past my mid-50s they considered me as a likely choice. A year later after complete check up, they found me to be a suitable candidate. They suggested a "live donor" transplant unlike the cadaveric (deceased) donor usually adopted in Canada. However "live donor" in Canada was not possible for me. I was granted temporary disability by the doctors and spent the period under support of health security provision of the government. We spent next 2 years in search of live kidney donors. In Bangladesh live donors were available but transplant in Dhaka was discouraged by doctors. This was due to the monsoon climate in Dhaka & inevitability of infections. So we decided to search for surgery in India. We found that presently the best choice was in Bangalore, India. By then we found donors in Dhaka. We established contact with hospitals in Bangalore and now we're looking forward to the surgery. However we're short of funding due to which we searched for scope to fill-in the shortage. Our relatives also came ahead but that did not much improve the situation. In this search we came upon the lead to my expatriate BUET alumni friends. So we now look forward to their assistance. The short fall is to the tune of USD 25000 which is mostly in the surgery cost. We've funds to cover all other expenses. We therefore look forward to my expatriate BUET alumni friends to come upon a means to meet that shortfall.